Situated in the heart of Bloomsbury in Central London between the City and the West End, the Bedford Hotel is an ideal location for business travellers, tourists and groups on a restricted budget. The British Museum is just a few minutes away and Covent Garden, Leicester Square and London's Theatre land are all within easy walking distance. Russell Square Underground Station is close by and provides easy access to Oxford Street, Piccadilly Circus, Knightsbridge (Harrods) and Heathrow Airport. 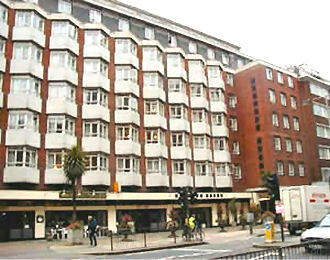 King's Cross, Euston and St. Pancras Stations are a short walk from the hotel and the Heathrow Airbus stops adjacent. 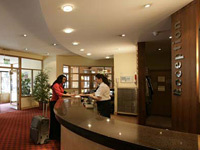 For the convenience of guests with cars the Bedford Hotel also offers underground parking for a modest additional fee. 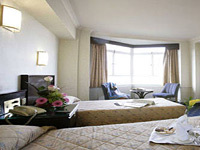 A leading venue of the Imperial Group chain of Bloomsbury hotels, The Bedford Hotel offers 184 clean and comfortable non-smoking guest rooms, spread over 6 elevator accessible floors. Each room is complete with private bathroom facilities, satellite TV, direct dial telephone, tea and coffee making facilities, trouser press and hair dryers. 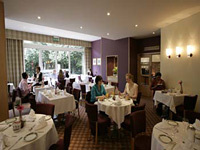 Small fridges, ironing facilities and a laundry service are also available on request. 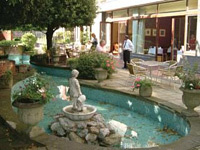 The Garden Restaurant is open for breakfast, lunch and evening meals and offers an intimate atmosphere overlooking the hotel's picturesque and well kept private garden. 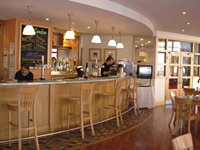 The relaxed, friendly Cafe London serves meals, light snacks and a wide selection of drinks from a well stocked bar and room service is available throughout the day. Safety deposit boxes, luggage storage, and laundry and dry cleaning facilities are available at the hotel's reception, and concierge staff are on hand to assist with travel arrangements and general tourist information. The Bedford Hotel shares a shopping arcade with the nearby President Hotel which includes a casino, hair salon, newsagent and banking facilities. In addition, guests can take advantage of concessionary rates at the nearby Living Well Health Club, providing access to a fifteen metre indoor swimming pool with Jacuzzi whirlpool, weight training, beauty treatments and massage. The rates are subject to availability. 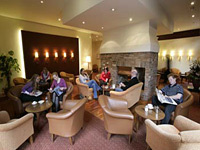 Our Comments We warmly recommend this solid 3 star hotel in a great location off Russell Square.